Voted the Best Hearing Center in the 2016 Herald Readers’ Choice Awards. Au-di-ol-o-gists: Audiologists are the primary health-care professionals who evaluate, diagnose, treat and manage hearing loss and balance disorders in adults and children. The Audiology department at WWMG is dedicated to maintaining the health and function of your ears. The Audiologist will begin by examining your ear canals and eardrums with a special light called an Otoscope. Next, you will enter the sound-treated test booth and the levels of hearing in each of your signals are presented to each ear through foam earphones. You will be asked to respond to the signals by either pushing a button, raising your hand or in the case of speech signals, repeating what you heard. You will be asked to respond to the lowest level that you can hear which determines your hearing thresholds. Thresholds for each pitch and ear are plotted on a graph called an audiogram. Further tests may be conducted during the hearing test. Your ability to understand words at different volume levels may be assessed to determine how clearly you hear speech. Your middle ear function may be assessed by a test called Tympanometry. Your inner ear function may also be assessed by a test called an Otoacoustic Emission. 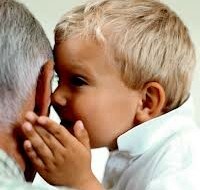 More than twenty-one million infants, children and adults in the United States suffer from some degree of hearing loss in one or both ears. 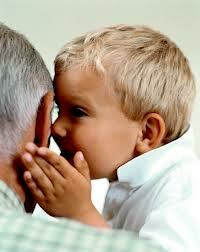 Such hearing impairments can go unsuspected until the sounds of daily life become faded or unrecognizable. Rather than accepting an impairment as an inevitable part of aging, or shying away from social interaction to avoid embarrassment, seek proper treatment from an audiologist. There is so much in life to hear. Hearing aids are medical devices, and as such they need to be prescribed and fitted by someone trained and qualified to do this. Buying a hearing aid without an initial face-to-face consultation, professional fitting, and subsequent follow-ups could result in you purchasing an ineffective hearing instrument for your loss, or worse, damaging your hearing further. Additionally, the consultation includes an examination, which can highlight other serious ear-health conditions. Consumers should seek out an Audiologist for proper diagnosis of hearing loss and fitting of hearing aids. Click here for more information about hearing aids. With advancements in technology, infants less than a day old can be screened for a hearing loss. Our Audiology department offers Early Hearing Detection and Intervention to detect hearing loss and fit infants with hearing aids. Through this early detection, infants are receiving the care they need to ensure proper speech and language development. If you or someone you know is about to give birth, make sure plans are made to have the infant screened. For more information, contact your local audiologist.